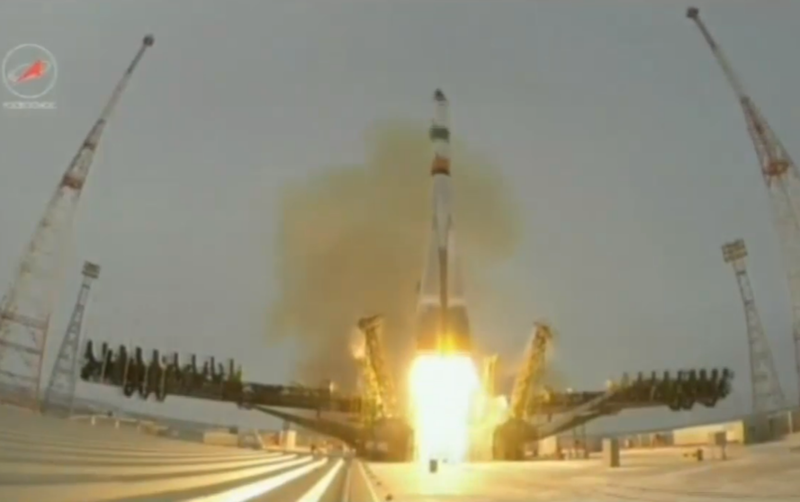 A Russian Soyuz 2-1A rocket lifted off from Site 31/6 at the Baikonur Cosmodrome on Monday at 8:44 UTC carrying the first in an upgraded series of Progress cargo resupply craft to orbit on a mission to the International Space Station. 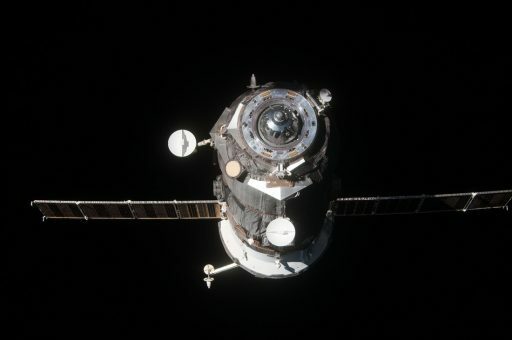 Returning to flight with the Progress spacecraft after April’s failure on the M-27M mission, Soyuz 2-1A provided the Progress MS spacecraft with a smooth ride through separation that was accomplished with no issue, avoiding a repeat failure at this critical moment in the mission. Thundering off from Baikonur in typical winter conditions, the Soyuz 2-1A flew along the standard departure path taking the vehicle north east towards the Kazakh-Russian border. The four boosters helped accelerate the Soyuz on its way into orbit, shutting down and separating two minutes into the flight. Soyuz relied on its Core Stage engine that fired until T+4 minutes and 46 seconds ahead of the typical separation sequence to allow the core to make way for the Block I third stage for a burn of nearly four minutes. Progress was revealed when its protective launch shroud separated a few moments into the third stage burn. Shutdown of the third stage engine occurred 8 minutes and 45 seconds into the mission and Progress made a clean separation from the booster just three seconds later. Because this marks the first flight of the improved Progress MS spacecraft, the mission will stick to the longer rendezvous profile, taking two days from launch to docking to provide the time needed for detailed testing of the new systems introduced by the Progress. Docking is planned at 10:31 UTC on Wednesday for the delivery of 2,300 Kilograms of cargo to the six-person crew aboard ISS just in time for the holidays. 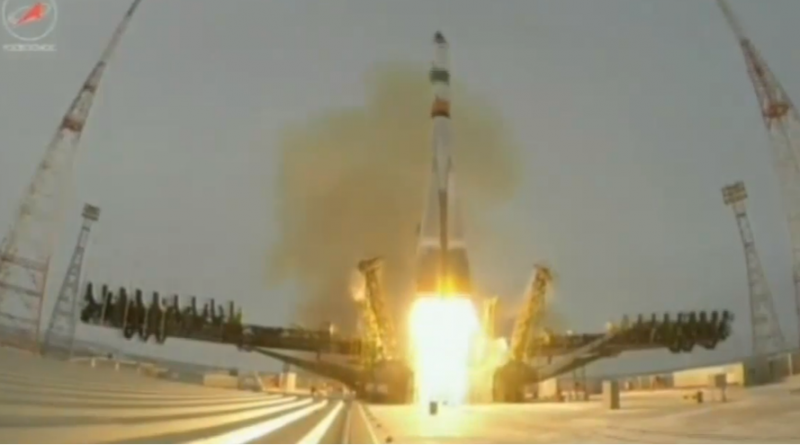 Monday’s launch was the return to flight of the Soyuz 2-1A – Progress combination that had flown twice before. In October 2014, the upgraded 2-1A version of Soyuz lifted its first Progress spacecraft and achieved a fully successful flight, placing the Progress M-25M spacecraft into its target orbit. 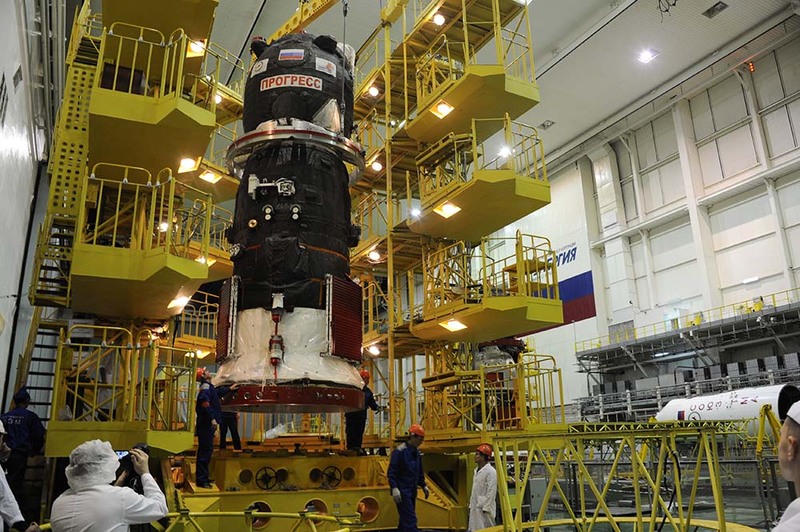 The next flight, Progress M-27M in April, was not expected to run into any problems given the success of the first shakedown mission and the ascent seemed to go well all the way up to spacecraft separation. At the moment of third stage cutoff and spacecraft separation, data from the third stage of the Soyuz was lost and the Progress ended up in an uncontrolled tumble with significant damage on its Service Module that prevented Mission Control from regaining control over the spacecraft. It was obvious that something had gone seriously wrong at the end of the third stage’s operation, but uncovering the failure mechanism through the data available to engineers proved to be a difficult task. It was determined that the oscillations occurring during the rapid engine shutdown on the Block I stage of the Soyuz were tuned to the resonance frequency of the Block I – Progress stack. At shutdown, propellants left over in the tanks of the third stage are catapulted forward, and a hammer effect puts further stress on the tanks. One of the changes between Block I stages of the older Soyuz versions (U and FG) and the modern Soyuz 2 is a different design of the tanks – the fuel tank in the forward section, instead of using a spherical tank structure, is comprised of a flat bulkhead in the aft, a cylindrical segment and a spherical bulkhead in the forward tank portion. The LOX tank continues the use of spherical bulkheads but was stretched. This design change places loads on the tanks that were carried by the stage structure on the older Soyuz versions. It was determined that on the ill-fated flight of Progress M-27M, the dynamic response of the stage-spacecraft complex to the rapid engine shutdown resulted in the separation of the Progress from the third stage and the loss of structural integrity of the Block I tanks. Progress M-25M that had an uneventful separation sequence was just lucky as frequency dynamics may not have been tuned right to the natural resonant frequency, allowing the craft to avoid a disaster at separation. 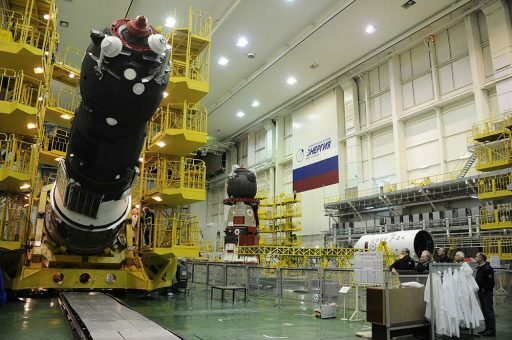 To overcome these issues, engineers conducted studies of the structural design of the modified Block I third stage, especially looking at dynamics of the stage when launching the Progress spacecraft. As a corrective measure, the stage cutoff sequence was tweaked by a fraction of a second, 0.34 seconds to be precise, to make the engine shutdown more gentle and avoid hammering effects. 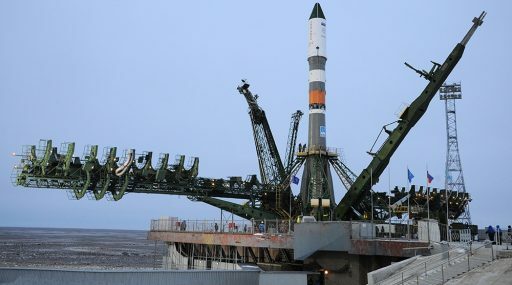 Simulations confirmed that this would eliminate the issues at separation, though only a flight of the Soyuz 2-1A could prove that the new shutdown technique would ensure a clean separation of the Progress. The introduction of the Progress MS variant marks the inauguration of the latest round of improvements and upgrades on the Progress vehicle that has gone through several generations since its first mission in 1978. 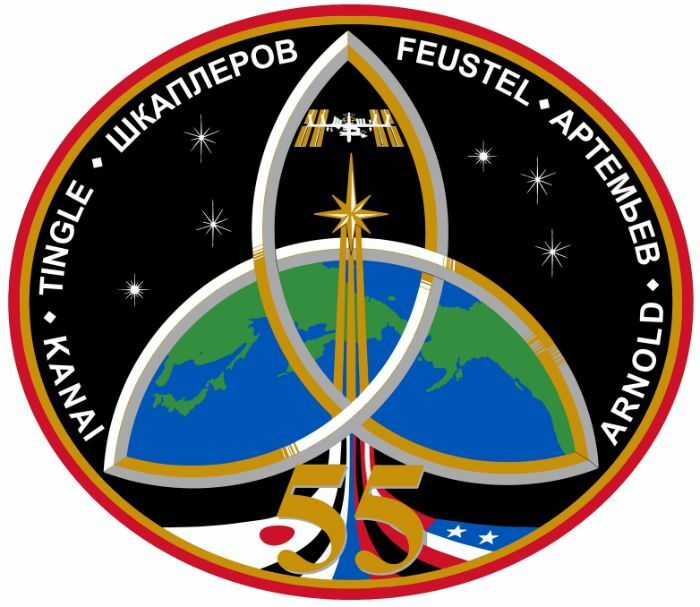 New systems hosted by the MS version of the Progress include the KURS NA navigation system that is more accurate than its predecessor while also reducing the amount of antennas that need to be deployed by the spacecraft, now hosting only one fixed KURS NA antenna and two ASF antennas that deploy after launch. In keeping an overall commonality between the crewed Soyuz spacecraft and the uncrewed Progress cargo craft, the Russian space program has the unique capability of introducing new systems on the Progress spacecraft first, going through extensive evaluation on the uncrewed craft before being implemented on the Soyuz. 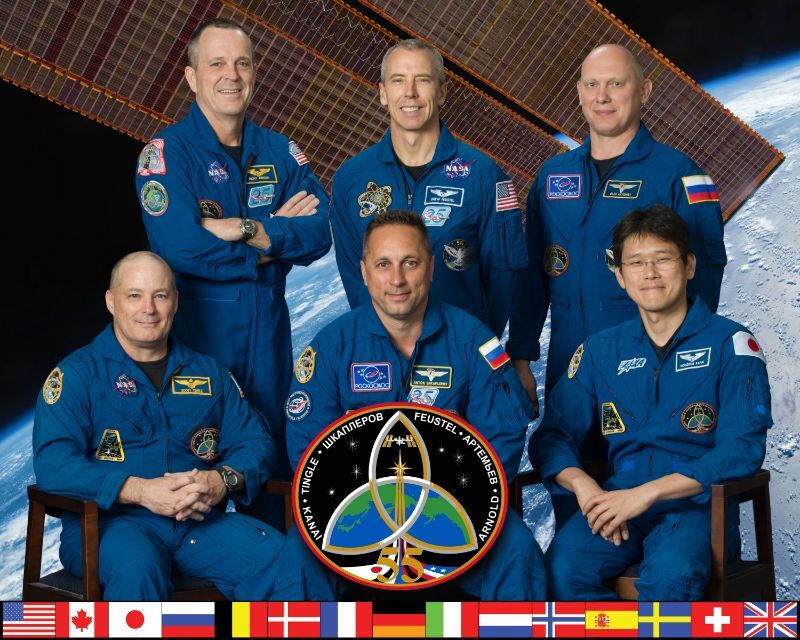 The same is true with the Progress M-M to MS upgrade since Soyuz makes its transition from the TMA-M to the MS version about half a year after the Progress – providing an opportunity to identify and correct any deficiencies in the uncrewed spacecraft for an overall reduction of risk. At a snowy Baikonur Cosmodrome, Soyuz 2-1A and Progress MS headed into an eight hour countdown operation in the morning hours on Monday. Once the Soyuz and the Progress were powered up, they were put through a series of testing procedures including electrical, communication and flight control system checkouts. 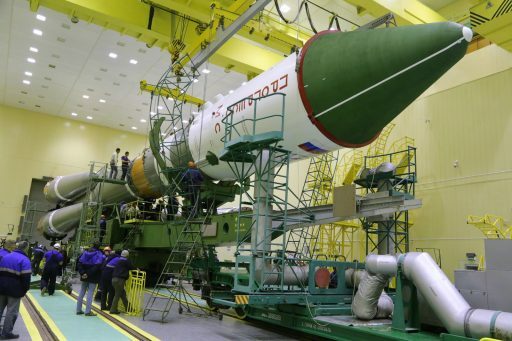 Results of these tests and those performed over the last two days were reviewed by the Russian State Commission that convened at around L-5 hours to provide the formal approval for propellant loading operations. No red flags were identified and the green light was given for teams to head into tanking right on time. Starting at L-4 hours, the Soyuz entered the propellant loading sequence during which the four boosters, the large core stage and the Block I third stage were loaded with –183° Liquid Oxygen oxidizer and rocket-grade Kerosene fuel. It took about two and a half hours for the 12 tanks to be filled with 274 metric tons of propellant. Also, the boosters and core stage received 280kg and 520kg of Liquid Nitrogen to be heated up in flight for the pressurization of propellant tanks. Inside one hour to liftoff, the Guidance System of the Soyuz rocket was activated and started reconfigurations for launch. 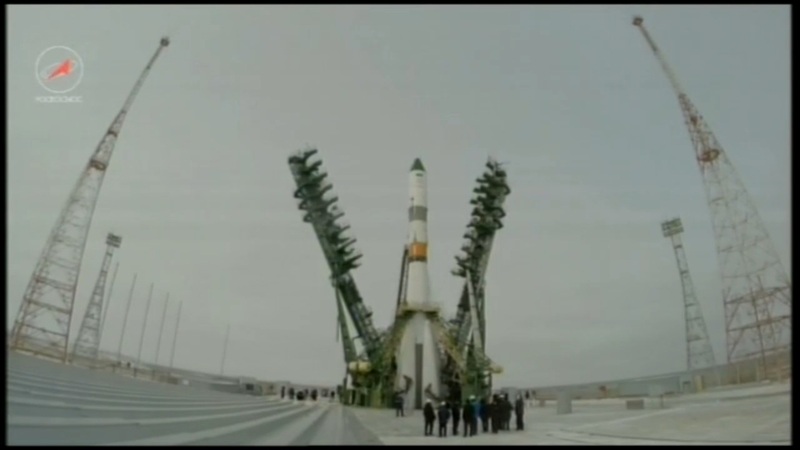 Soyuz 2-1A features a digital guidance system instead of the older analog system that is used by Soyuz U. The newer system provides added maneuverability during ascent including the ability to roll the launcher after liftoff and it also increases the orbital insertion accuracy of the vehicle. The two halves of the Soyuz Service Structure started opening at L-36 minutes, being retracted to their launch position to reveal the fully-fueled Soyuz rocket, clearing its way for liftoff. 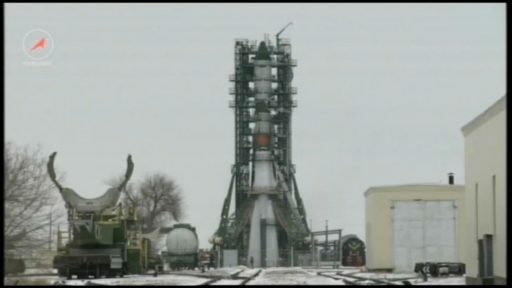 Launch command power was applied to the Soyuz at L-30 minutes and engineers departed the launch pad to report to their launch support positions at a safe distance or inside the launch bunker near the pad. Soyuz entered the critical Terminal Countdown Sequence at T-6 Minutes & Counting, going through the last set of steps to transition to a launch configuration. 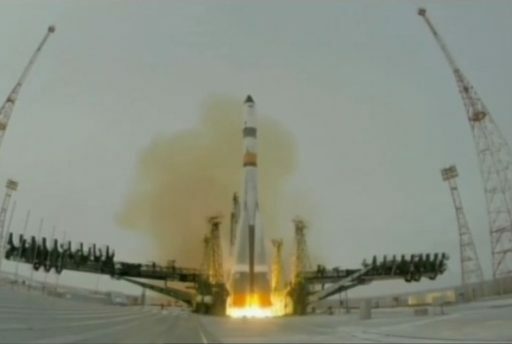 Over the course of the sequence, the Soyuz purged its engines with nitrogen to ensure a controlled ignition, started the pressurization of its tanks, switched its telemetry systems to launch mode and transitioned to internal power as well as onboard control fore the final events leading up to ignition. Ignition Sequence Start was commanded at T-20 seconds, marking the start of the booster and core stage engines that began spinning up their hydrogen peroxide-driven turbopumps. The engines reached a preliminary thrust level for monitoring before being commanded to their full thrust setting to overcome hold-down weights that only move after a certain thrust threshold is reached by the Soyuz that can then lift off. 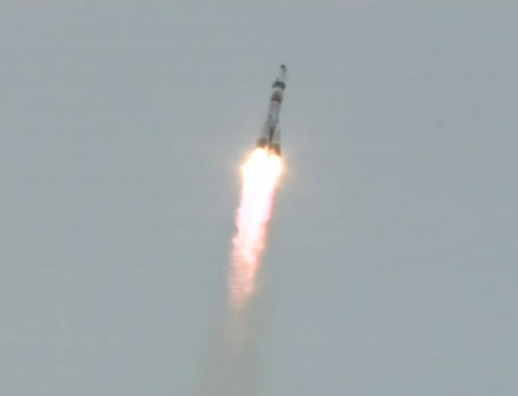 Soaring up to a total liftoff thrust of 422,000 Kilogram-force, Soyuz blasted off at 8:44:39 UTC. The 46-meter tall vehicle made a short vertical ascent, balancing under the control of its vernier engine pairs on the boosters and the four verniers on the core stage that, unlike the main engines, can be gimbaled. After its initial ascent, Soyuz began its pitch-over and the vehicle started rolling to get aligned with its pre-planned trajectory taking advantage of the capability to roll the vehicle that is new for Progress since Soyuz U can not support a roll after liftoff. Consuming 1,600 Kilograms of propellant each second of flight, Soyuz started heading uphill and racing downrange, making its way north-east towards the Russian-Kazakh border. Soyuz broke the sound barrier about 70 seconds after liftoff followed by Maximum Dynamic Pressure a few seconds later. The four liquid-fueled boosters successfully completed their job after one minute and 58 seconds, helping accelerate the launch vehicle to a speed of over 1.5 Kilometers per second, doing most of the work during the initial ascent phase. The four 19.6-meter long boosters were separated by pyrotechnics and pistons that pushed them outward to send them into a tumble back to Earth after making a clean separation without re-contact. The flight profile of Soyuz 2-1A was modified to keep the old drop zones used by Soyuz U. With Progress riding the more powerful vehicle, a number of modifications were made to the flight profile – lofting the trajectory slightly and delaying the separation of the launch shroud to carry that additional weight throughout the core stage operation to intentionally reduce the performance of the launcher to keep the old drop-zones and usual insertion orbit. Separated at 50 Kilometers in altitude, the four boosters headed towards an impact 355 Kilometers downrange from the launch site, traveling about 7km further than the Soyuz U boosters indicating the difference in energy of the separated components. The Soyuz continued its climb into orbit powered by the core stage’s RD-108A engine alone, delivering 101 metric ton-force of vacuum thrust and using its four verniers for three-axis stabilization. Real time call-outs made from the launch bunker indicated a good stabilization of the vehicle that flew right along the planned trajectory. The Core Stage was shut down four minutes and 46 seconds after liftoff followed moments later by the hot-staging sequence that started with the ignition of the RD-0110 engine of the third stage and the firing of the pyrotechnic stage separation system that severed the mechanical connection in between the two stages, allowing the third stage to pull away from the spent core. The empty core stage was set for a short coast uphill before falling back to Earth, headed towards an impact 1,550 Kilometers downrange. Ten seconds after the separation of the stages, the protective payload shroud was separated. Normally, Soyuz would be at a safe altitude for the separation of the shroud just two and a half minutes into the flight, but the extra weight was intentionally carried further to cancel out the performance surplus of Soyuz 2-1A to keep the original parameters of Progress missions. 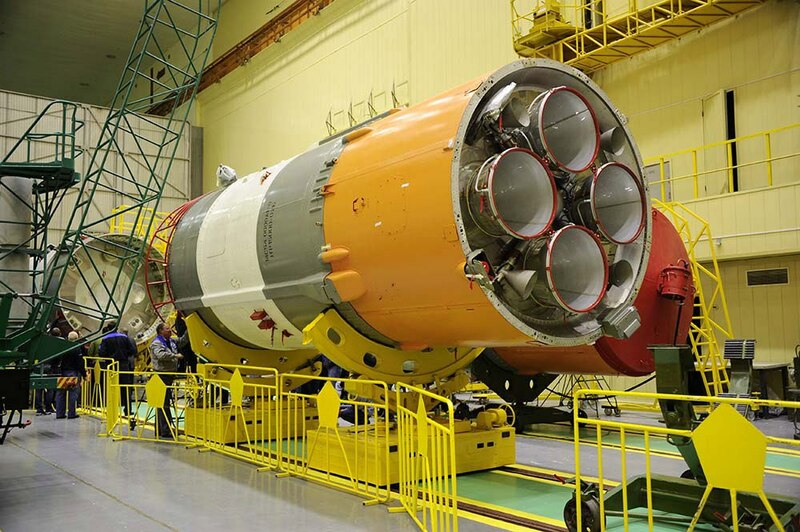 In the future, excess performance of the Soyuz 2-1A will most likely be utilized to transport more cargo to ISS. Along with the shroud, Soyuz separated the aft section covers of the third stage to fully expose the engine compartment. The RD-0110 was set for a burn of 3 minutes and 58 seconds to finish boosting the Progress into orbit, delivering 30,400 Kilogram-force of thrust with a four-chamber vernier for vehicle stabilization. Progress MS was targeting an insertion orbit of 193 by 245 Kilometers at an inclination of 51.67 degrees at a phase angle to the ISS orbit around 334 degrees. The third stage shut down its engine at T+8 minutes and 45 seconds going through its modified smooth shutdown sequence. Separation of the Progress was confirmed three seconds later and data from the third stage and the separated spacecraft showed that both were intact and still functional, confirming that a clean separation had taken place. Immediately after separation, Progress started executing a series of time-tagged commands to deploy its two power-generating solar arrays and the KURS antennas as part of its initial critical steps in orbit. Telemetry received from the Progress showed a good deployment of its appendages and indicated that the propulsion system was pressurizing as planned for the spacecraft to start controlling its attitude and get ready for orbital maneuvers. Progress MS will be tasked with two main engine burns on its third orbit around Earth to reach a 256 by 305-Kilometer orbit in which it will remain until Tuesday morning when a third DV maneuver will be made to fine-tune the orbit of the vehicle, set to initiate its rendezvous with ISS on Wednesday at 8:10 UTC to link up with the Space Station for a fully automated flyaround and approach to the Pirs module for a 10:31 UTC docking to mark the start of a seven and a half-month docked mission.